Cardiothoracic surgeon Ahmet Kilic is sharply aware that he stands at the midpoint of a see-saw, one tilting downward. New to Johns Hopkins, Kilic was hired both for his art and skill in transplanting hearts and for his expertise in the specifics of matching recipients with donors. If an organ is unavailable in a timely manner, the decision can be made to pursue surgical therapy in the form of a ventricular assist device (VAD) or other type of mechanical circulatory support system. The Heart Transplantation and Mechanical Circulatory Support Program team counterbalances inconsistent recoveries and long-term survival rates with innovative surgical approaches, improved devices and new hospital policies. 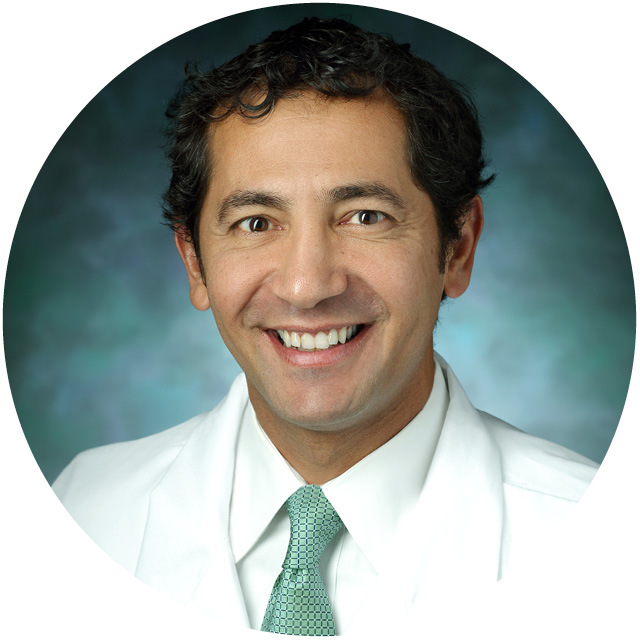 Kilic (pronounced “KIL-itch”) directs Johns Hopkins’ Heart Transplantation and Mechanical Circulatory Support Program. The goal: Protect patients’ overall tissue perfusion and restore a quality of life to patients facing chronic or end-stage heart failure. Still, he says, even with some two decades of worldwide research on VAD surgical implants, statistics on long-term survival fall short of perfect. Donor hearts remain scarce, and adverse events from VADs, though fewer, dog the various mechanical circulatory support devices. The pumps can malfunction from clotting, with a subsequent risk of bleeding or stroke. Moreover, fundamental questions persist: Why, in like patients in similar stages of cardiogenic shock, for example, does one patient achieve better than a one-year survival, while the other doesn’t? Do the devices themselves remodel still-normal, adjacent heart tissue? Do they sensitize patients’ immune systems? Can early insertion of a left ventricular assist device (LVAD) slow right-ventricle cardiomyopathy? 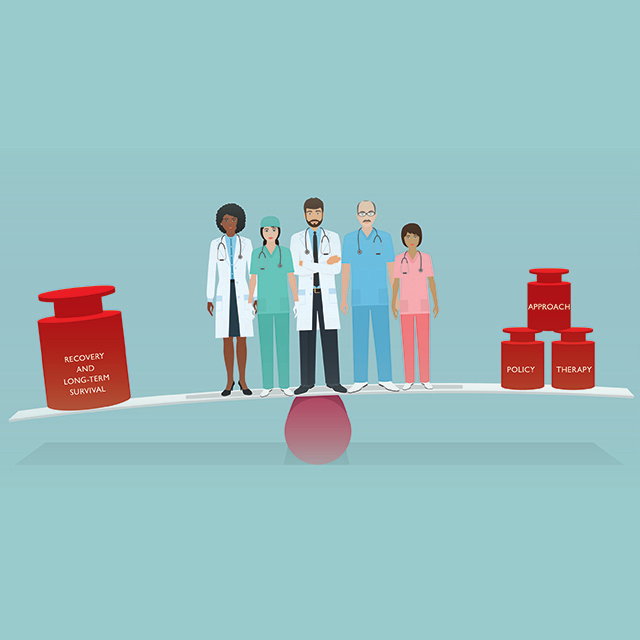 Kilic, however, is confident that, in the near future, surgical therapy can level the see-saw of outcomes for sicker patients and likely start its tilt in the other direction. LVAD design is steadily improving, for example. Also, Kilic says, there’s research on new materials—hybrids of biological and manmade agents to line the pumps—which seem patient-friendlier and discourage blood clots. A last improvement comes as LVADs have become smaller, namely, using best practices to guide their insertion. While Kilic was program head at Ohio State’s Wexner Medical Center, for example, his lab fine-tuned placement of the HeartMate II, a “workhorse,” second-generation pump. It became the first one FDA-approved both as a lasting or “destination therapy” and as a temporary bridge to buy time for patients with refractory disease still on heart transplant lists. Positioning the pump lower and securing it more tightly—part of the national PREVENT clinical trial—significantly discouraged in-pump clots. Last fall, HeartMate III won approval as smaller, still, and even better-tolerated. “We’ve introduced this new pump to Johns Hopkins, along with the competitor HeartWare HVAD,” he says. Though each has its own niche, both pumps work by a new principle, Kilic says, where internal parts that might wear unduly are magnetized to repel each other. Because the HeartWare HVAD is the smallest yet, Kilic could introduce mini-sternotomies at Johns Hopkins. “The incision—shorter than the full sternotomy—lessens patients’ recovery time, with less discomfort,” Kilic notes. To discuss a case or refer a patient, call 410-955-7935. Jennifer Lawton, chief of the division, was the first to arrive, almost two years ago. She was instrumental in the hiring of Kilic and the others, with each successive recruit joining the selection process. For Kilic, she explains, “We needed someone dedicated to heart transplantation to build that specialty alongside our current talented surgeons.” Kilic’s additional perspective on mechanical circulatory supports added value. Chun (Dan) Choi has a clinical focus on the optimal use of extracorporeal membrane oxygenation (ECMO) and researches better ex-vivo perfusion of donor hearts as a way to increase their suitability. Among Stefano Schena’s clinical interests are minimally invasive coronary and valve surgery via a transcatheter approach. Lawton, herself, specializes in adult coronary surgery in general, using innovative techniques such as minimally invasive valve and off-pump coronary artery surgery—without the heart-lung machine—which is shown to have better results postoperatively for women.